Massive 3 BDRM 2 BTH! 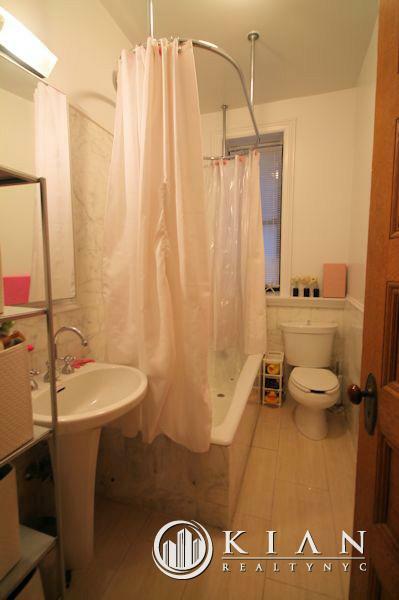 Prime Upper West Location * Excellent Share! Shares welcome. 3 Bedroom 2 Baths with approximately 1200+ square feet highlighted by Gorgeous Pre-War detail, including High Ceilings with Crown and Base Moldings, Hard Wood Floors with Decorative Inlays, Chandeliers, and a Decorative Fireplace. The Windowed Country Style kitchen with Dishwasher and Breakfast Counter offers an enormous amount of Windowed Cabinetry plus a large Pantry. Just off the kitchen there is a Windowed Landry Room with a Brand New stacked Washer Dryer. There are 2 Queen Size bedrooms with good closet space and a King Size Master Bedroom with a Large Walk In Closet. Apartment also features 2 Windowed Bathrooms (1 with Tub, 1 with Shower), an oversized (18X16ft) living room, and 3 Exposures. Sorry, no Pets or Smoking here. Located in the Upper West Side, in a very well maintained Elevator Building, steps to Riverside Park, the 96th Street express stop, tons of restaurants, PS 163, 24-Hour West Side Market, Pharmacy, Boutique shopping and much more.